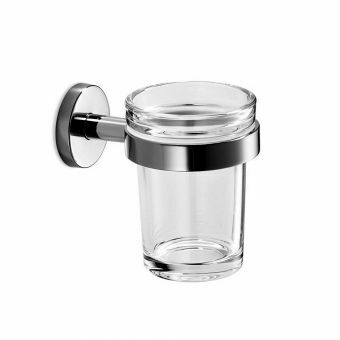 Free DeliveryPerrin and Rowe Traditional Double Tumbler Holder£143.52 inc.VATRRP: £179.40 (Save 20%)Beautiful decorative twin ceramic tumblers with a chrome holder, other finishes availble as a special order. 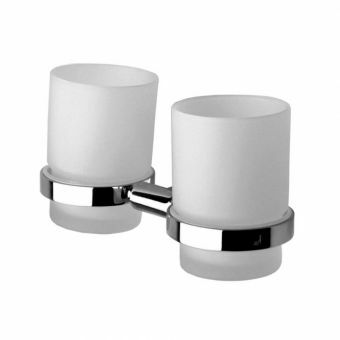 Abacus Line Double Tumblers£23.10 inc.VATRRP: £33.00 (Save 30%)Double holder with two matching tumblers, practical double storage for bathroom essentials. 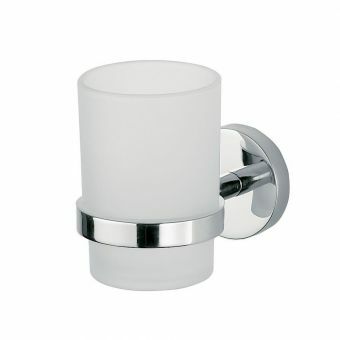 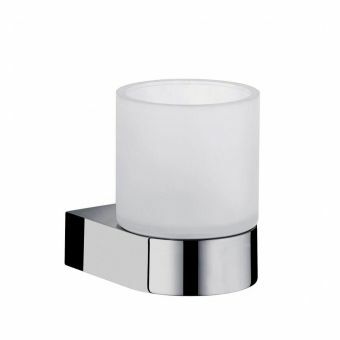 Abacus Halo Double Tumblers£23.10 inc.VATRRP: £33.00 (Save 30%)Useful double tumbler and holder accessory, in a polished chrome, finish it's perfect for the family bathroom. 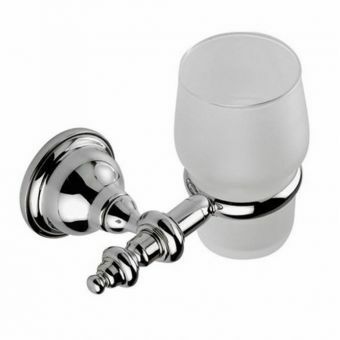 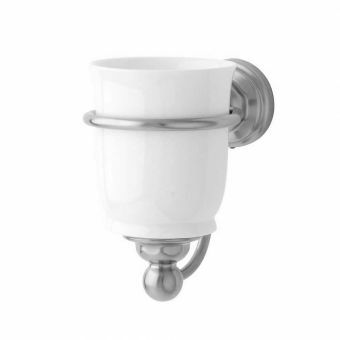 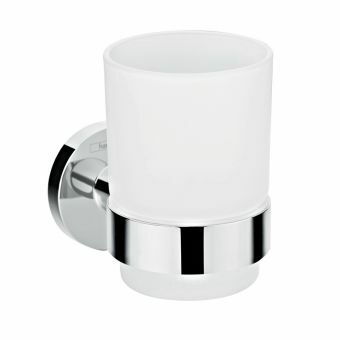 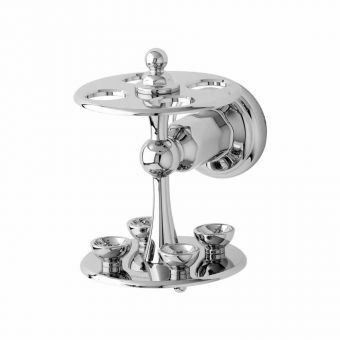 Imperial Avignon Wall-Mounted TumblerFrom £96.00 inc.VATRRP: £120.00 (Save 20%)Wall mounted fittings in chrome gold or nickel. 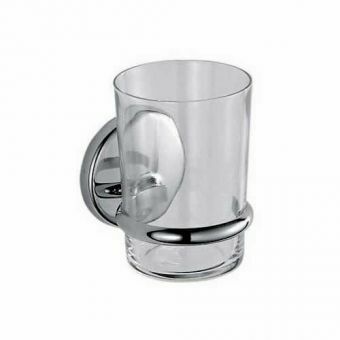 Free DeliveryPerrin and Rowe Traditional Tumbler with Holder£59.90 inc.VATRRP: £74.88 (Save 20%)Polished chrome finish with a sturdy, heavy solid weight ceramic tumbler. 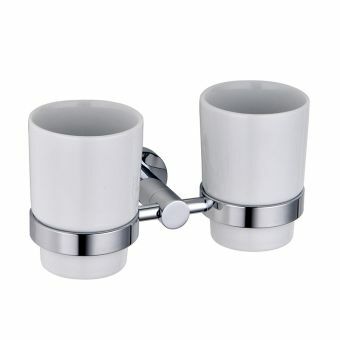 High-quality materials and finish. 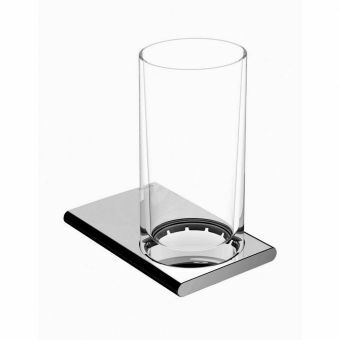 Free DeliveryPerrin and Rowe Traditional Single Tumbler Holder£85.25 inc.VATRRP: £106.56 (Save 20%)Manufactured in the UK by premium bathroom brand Perrin & Rowe in their renowned quality chrome finish. 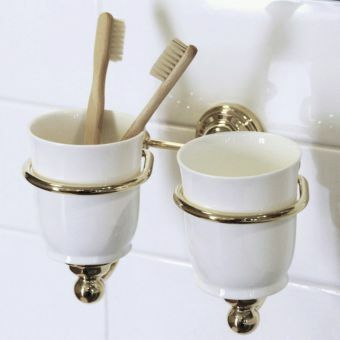 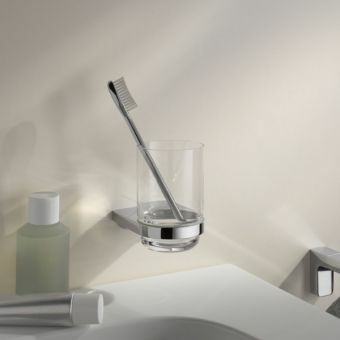 We have seen some odd things used in bathrooms for holding the toothbrush and toothpaste, as we are sure that you have from time to time, usually it can be a glass tumbler or even an old mug. 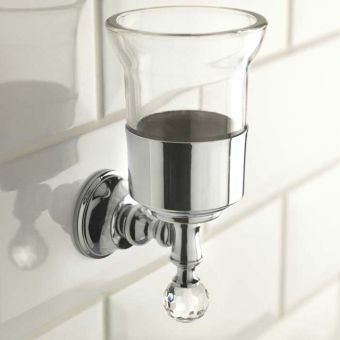 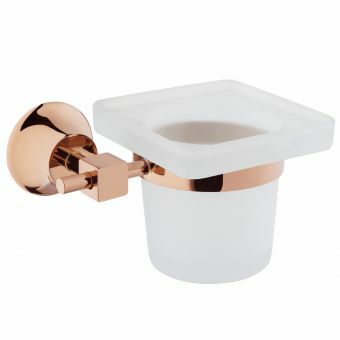 However, why not take a look at some of the sixty different tumblers and holders that will do justice to your lovely bathroom? 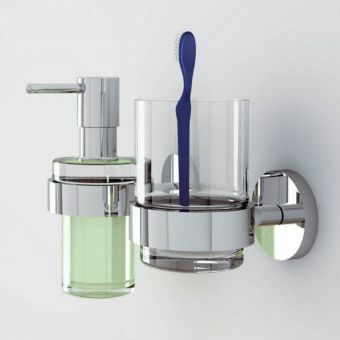 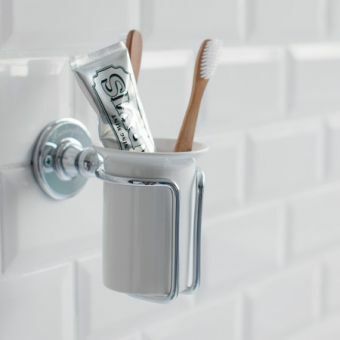 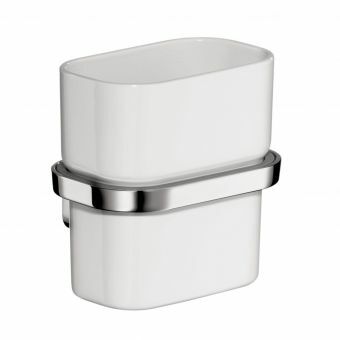 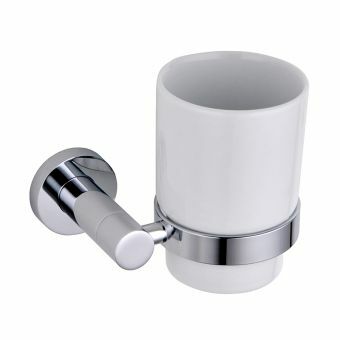 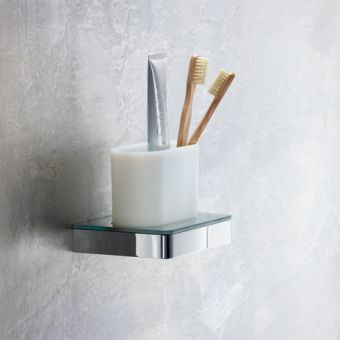 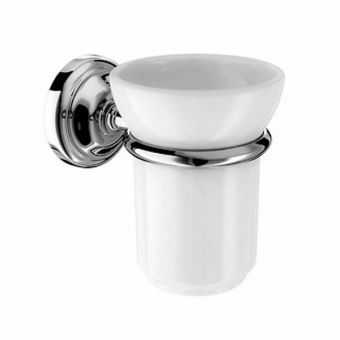 The modern combined toothbrush mug and holders are finished in glass or ceramic and easily cleaned. 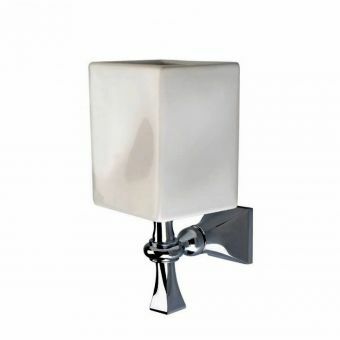 They can be free standing or they may be fixed to the wall surface. 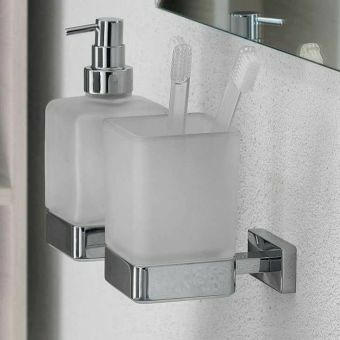 There are a number of combinations that we illustrate at these pages, perhaps a modern liquid soap dispenser combined with the tumbler holder, the Inda Ego Wall Mounted Double Ring Holder with Glass Tumbler and Glass Soap Dispenser could be your choice. 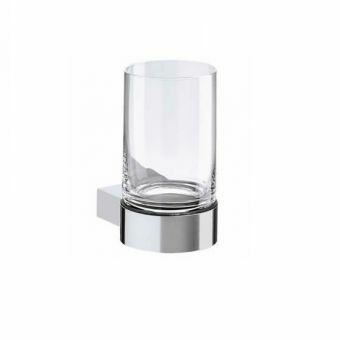 We can offer a his ‘n hers double holder from Inda complete with two tumblers manufactured in frosted glass with chrome finished holder. 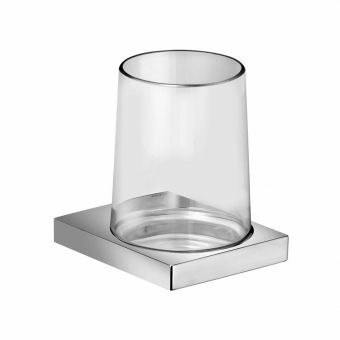 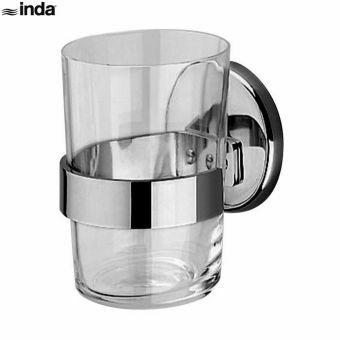 Maybe the modern square frosted glass tumbler from Inda is more to your bathroom decor. 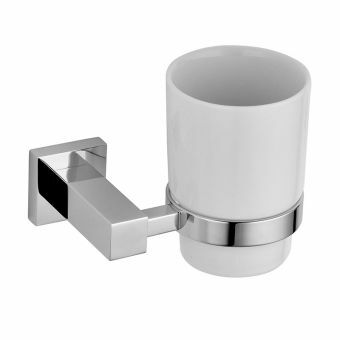 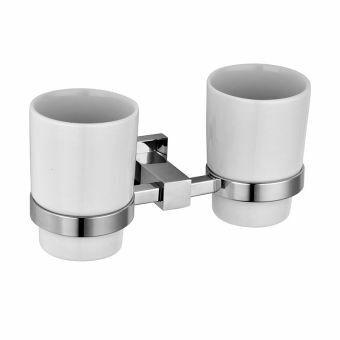 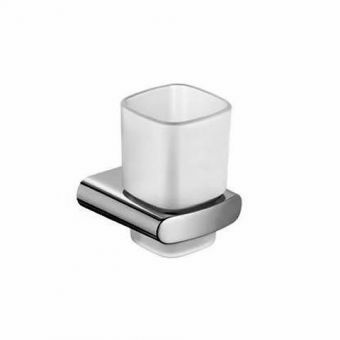 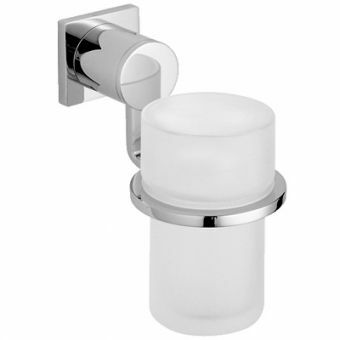 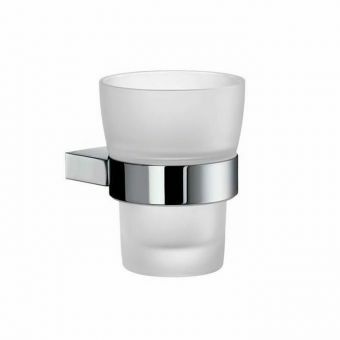 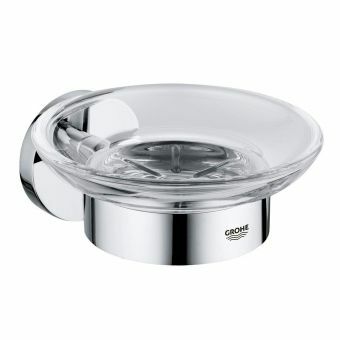 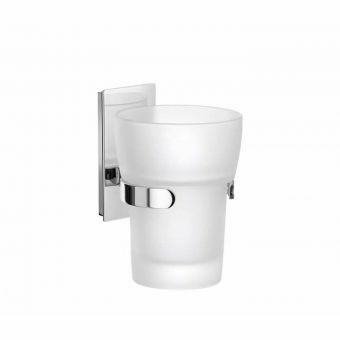 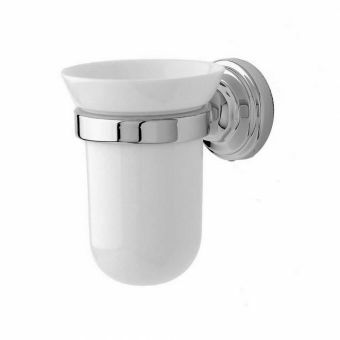 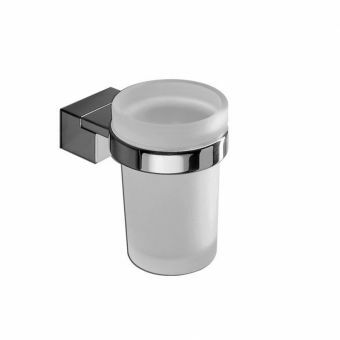 There is also a choice of two double tumbler holders from Crosswater which are stylish in ceramic and chrome, particularly if combined with the Crosswater soap dispenser. 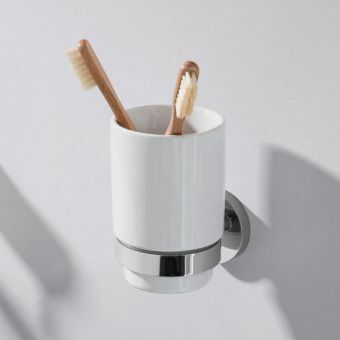 Of course if it is just a toothbrush holder that you would like, then the BC Sanitan four brush holder would fit the bill and this can be combined with one or two BC Sanitan Berkley glass tumbler holders.